Shake up the classic vodka soda with the refreshing taste of cherry, raspberry, or lime! This easy low-calorie cocktail is effortless to prepare! I am going to let you in on a little secret: I don’t really do life-changing New Year’s resolutions, ever really. Instead, I try to incorporate balance into my life all year around so I can enjoy the things I love without making them a problem. 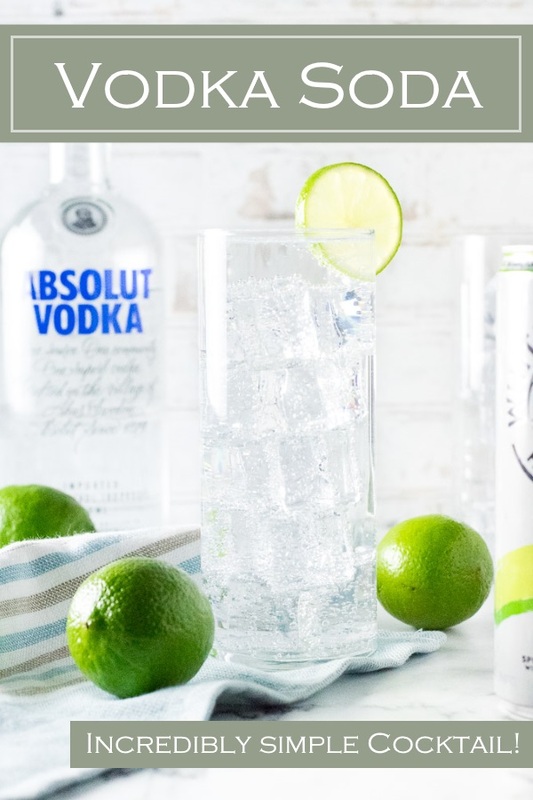 A vodka soda cocktail is a great example, as it is lower in calories when I need to cut back but still allows me to enjoy a full-flavored cocktail when celebrating with friends. Vodka soda is one of the easiest cocktails you can mix. It is traditionally made with approximately two ounces of vodka in an ice-filled glass topped with club soda and a squeeze of fresh lime juice. Club soda is carbonated water, which gives the cocktail an effervescent quality similar to drinking a soda and is typically used instead of seltzer because it contains minerals and additional flavoring agents. 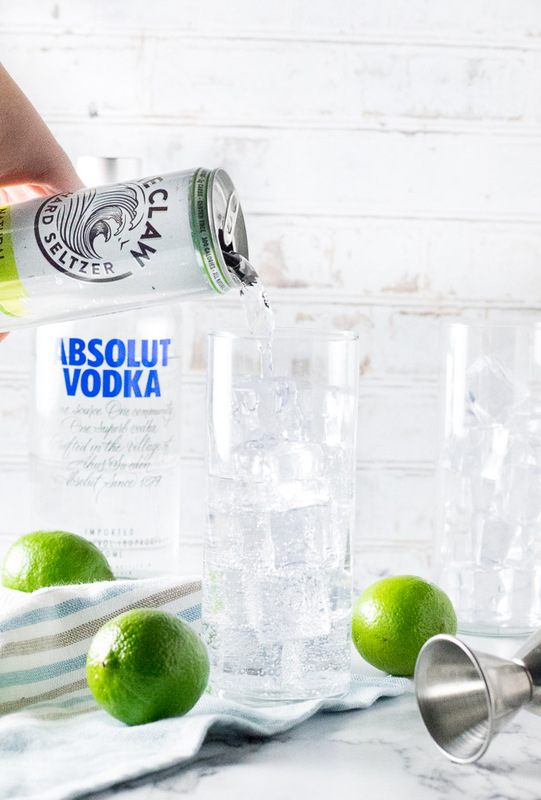 However, there are flavored seltzers, like the White Claw Hard Seltzer I picked up at my local Meijer store which make a phenomenal vodka soda. The reason I enjoy making vodka soda with seltzer is for the wide variety of flavors I can easily incorporate into my drink. Meijer stores carry the White Claw Hard Seltzer variety pack loaded with lime, black cherry, raspberry, and grapefruit flavors. Each of these can be used to make a refreshing vodka soda featuring an excitingly different flavor in each glass. Since hard seltzer contains alcohol, I cut back the amount of vodka used in my cocktail recipe to compensate. 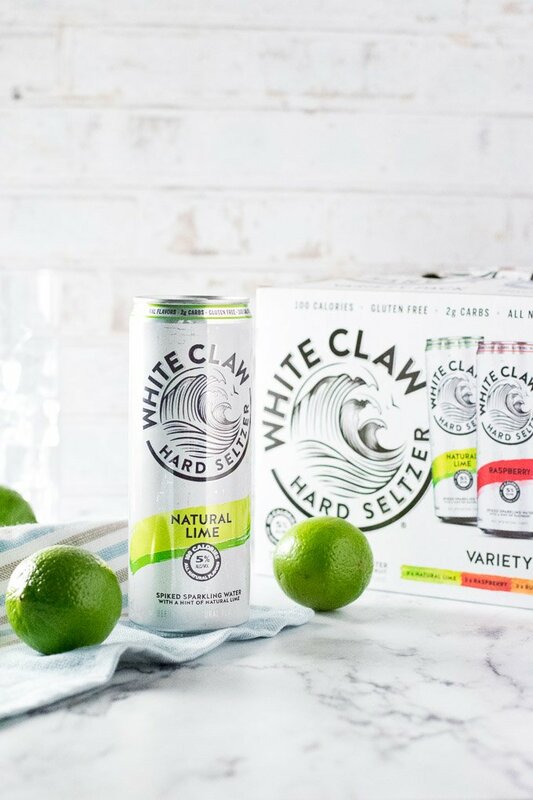 Beyond cocktails, White Claw Hard Seltzers are a great drink on their own too. 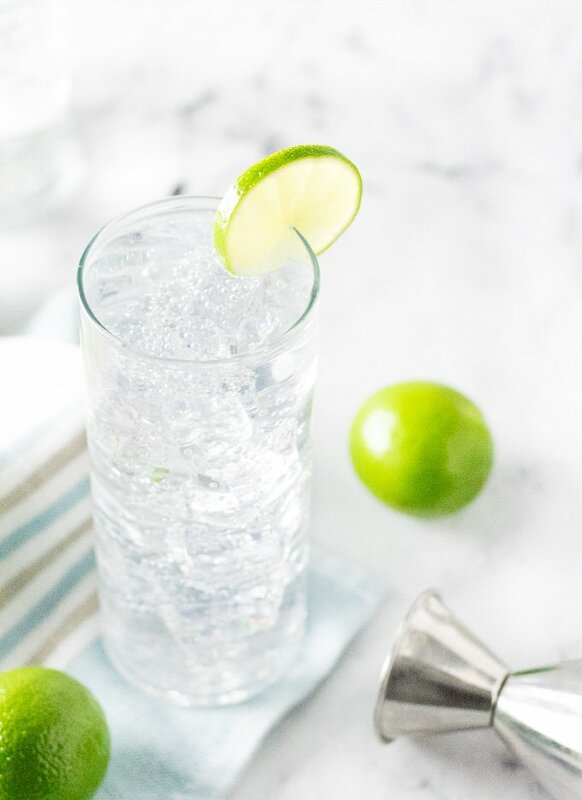 Each 12 ounce can of hard seltzer is 5% alcohol by volume yet carries only 100 calories, making them a great way to celebrate without loading up on extra calories. 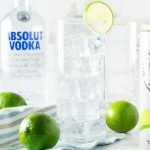 When making a clean tasting cocktail such as a vodka soda, it is imperative that you use a high-quality vodka like Absolut Vodka. Top shelf vodkas will have a cleaner, smoother flavor, which will balance out the drink. Since the cocktail only features two primary ingredients you want to avoid using anything that can throw off the flavor. 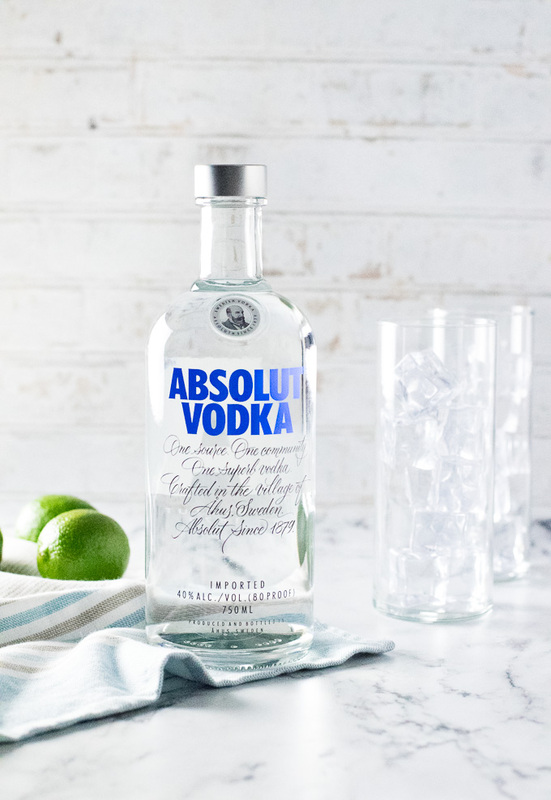 You will find Absolut Vodka in Meijer’s well-stocked liquor department. Vodka soda is best served in a highball glass or collins glass. In a pinch, I have also seen it frequently served in an old fashioned glass as well. However, Meijer does carry great highball glasses that you can pick up while shopping for your cocktail ingredients, as well as a robust selection of quality barware. Fill highball glass with ice and add vodka. Top glass with hard seltzer. Optional: Garnish with fruit matching hard seltzer flavor. 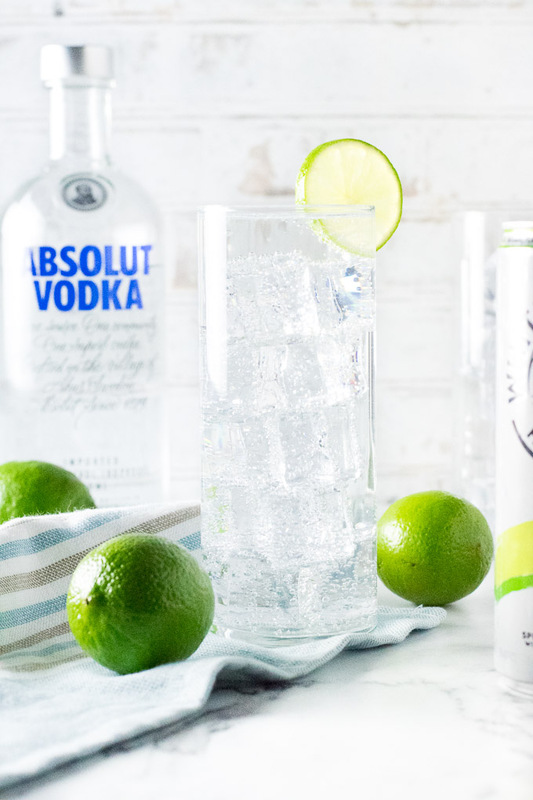 You can also make a traditional Vodka Soda with 2 ounces Absolut Vodka, topped with Club Soda and a squeeze of lime juice. IF YOU LIKED THIS RECIPE give my Moscow Mule with Gin recipe a try too! If you enjoyed this Vodka Soda recipe then you should probably like me on Facebook and follow me on Pinterest too. That’s what I would do at least, and if you are willing to take my advice on the food you put into your body you should probably follow my advice on that too.